Scientific Games stock jumped over 21% in November! 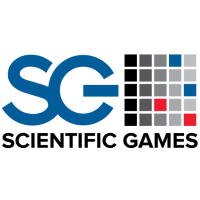 Scientific Games (SG) made a lot of noise down on Wall Street. In fact, the company reported that their stock had jumped to 21.4% earlier last week. As a result of that, everybody is wondering what caused it to pop? With that said, people are jumping to conclusions and assuming they know the reasons. Although most reports you read don’t highlight the success, the company has enjoyed these past months. On that note, it’s no surprise to see their stock rise. So, let’s examine some of the reasons that may have contributed to this huge stock increase. SG has been in business for 45 years, so they know a thing or two about iGaming. SG hails from Las Vegas, and they have several deals and partnerships in New Jersey. Also, SG introduced the first instant lottery ticket, and provides systems that allow you to print lottery tickets for Powerball and Mega Millions! With that said, they’re strategic locations and experience gives them an edge in the industry. Also, they currently generate over $3.8 billion in revenue! So when it comes down to making noise on Wall Street, SG definitely knows how to get everyone talking. On November 1st, they officially acquired Don Best Sports Corp and DBS Canada. Then on October 24th, they added key experience professionals to their SG Digital group to drive marketing for their sportsbook operations team. Also, on October 11th, SG won the Best Land-Based and Digital Supplier of the Year at the 2018 G2E Awards. Not to mention, SG Digital’s OpenBet won Digital Product and Best Interactive Product of the Year at the G2E as well. All and all, these factors probably helped the company’s stock a bit, would you agree? On another note, SG also powers Caesars NJ mobile sports betting app! So the next time you’re in NJ or if you already live here, make sure to check the app out and discover how innovative and creative Scientific Games really is!